Heritage Week 18th to 26th August 2018: As part of Heritage Week the Tower of Allen on the Hill of Allen will be open to the public as follows: Saturday 18th to Sunday 26th August (inclusive) from 10am to 6pm. Just 10km from Newbridge and Kildare and 15km from Naas, this magnificent tower was built in 1859 by Sir Gerald George Aylmer. The tower commands extensive views of the surrounding countryside. On each step of the tower is inscribed the names of the men and women who built it. Hungry Caterpillars Talk takes place 19th August, from 2pm – 4pm in the Irish Peatland Conservation Council, Bog of Allen Nature Centre, Co. Kildare Join IPCC and discover the life-cycle of the endangered Marsh Fritillary Butterfly. There will fun activities for children and some tips on butterfly gardening for adults. The event will include a guided walk to Lullymore West Bog to see the larval nests of the Marsh Fritillary butterfly. I heard the Curlew Cry: 22nd of August, 2pm – 4pm in the Irish Peatland Conservation Council, Bog of Allen Nature Centre, Co. Kildare. Join IPCC for a talk about how the Curlew fared on Lodge Bog in 2018. The talk will followed by a sensory earth walk. This event is family friendly and refreshments will be provided. The guided walk will visit Lodge Bog, a wonderful raised bog habitat which is important breeding habitat for Irish Curlew. IPCC will showcase some of the interesting bog flora and fauna including the insect-eating sundews and bog building Sphagnum mosses. Admission is free and all are welcome. and 4pm to 4:45pm22 August, 12pm – 12:45pm, 22 August, 4pm – 4:45pm in St Patrick’s College Maynooth cemetery (South Campus, in the parkland at the rear of the college buildings) in Maynooth Co. Kildare. Maynooth College Cemetery has received the mortal remains of over 150 college residents over a period of two hundred years. 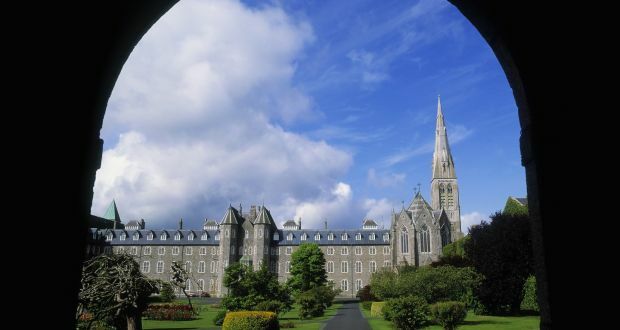 This tour will focus on the life stories of those interred In its tranquil setting on a busy university campus, Maynooth College Cemetery has received the mortal remains of over 150 college residents over a period of two hundred years. This tour will focus on their life stories and their contribution to spiritual, cultural and political life in Ireland from the revolutionary era of 1798 onward. This free Heritage Week event can be combined with regular tours of the college, see http://www.visitmaynooth.com/tours for times, prices, etc. Admission is Free.